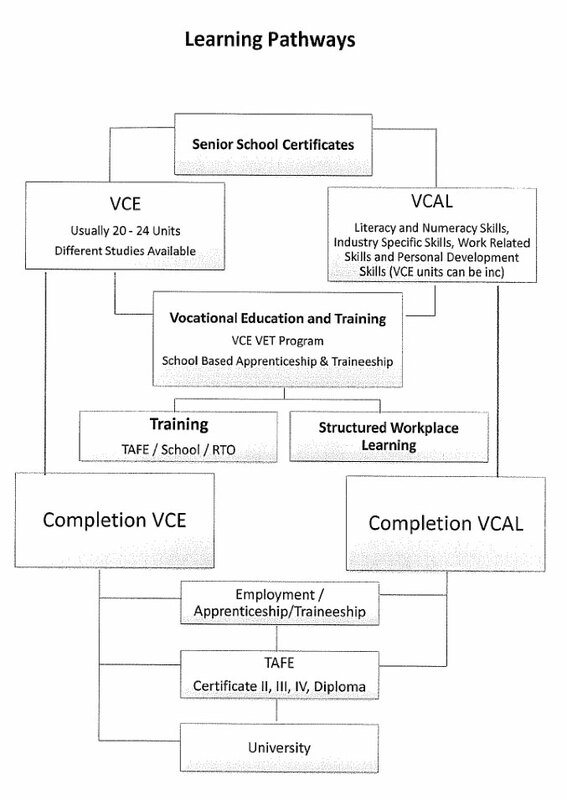 Pathways refer to the different ways students are able to obtain their VCE/VCAL and the subjects they undertake to achieve this outcome. In a sense when choosing their pathway through the senior school, students really need to work backwards. Students should look at what they would like to achieve when they leave school and then work backwards through the year levels, selecting subjects which allow them to achieve that goal. Generally students should think about an area they would like to work in, or study further when they leave school and select subjects which will allow them to achieve this goal. Students can complete a range of options along with VCE/VCAL that include a VET subject or an SBAT (School-Based Apprenticeship and Traineeship).